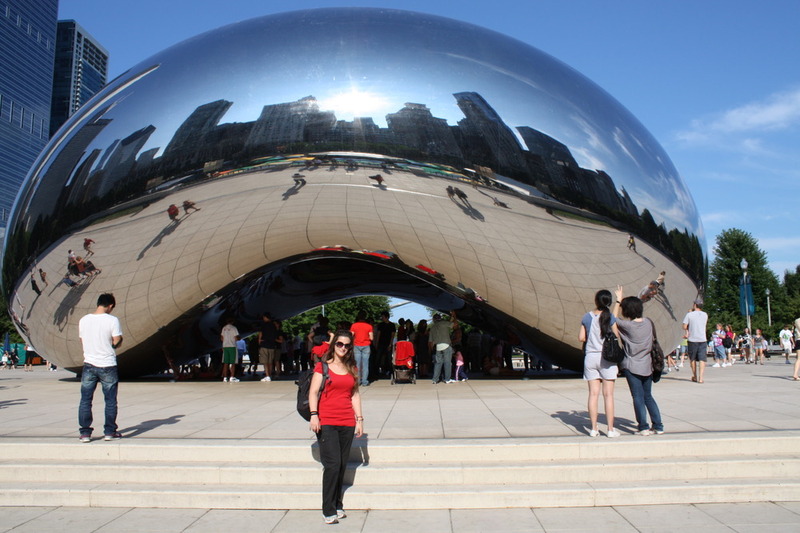 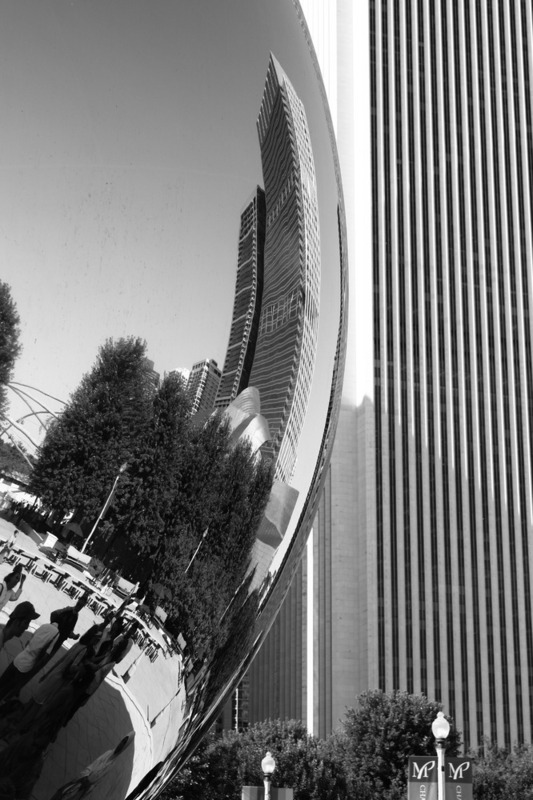 Officially called Cloud Gate, this shiny piece of art is incredibly photogenic. 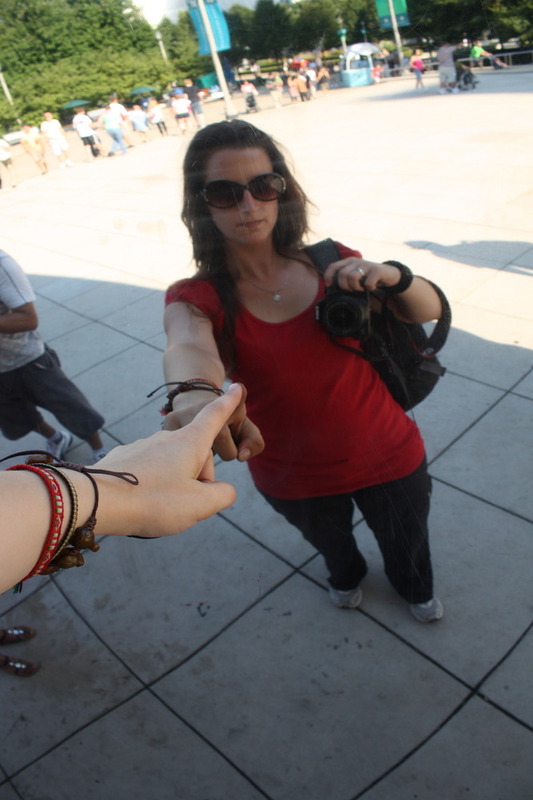 I took 65 photos of it but I won’t put you through that so here are 12. 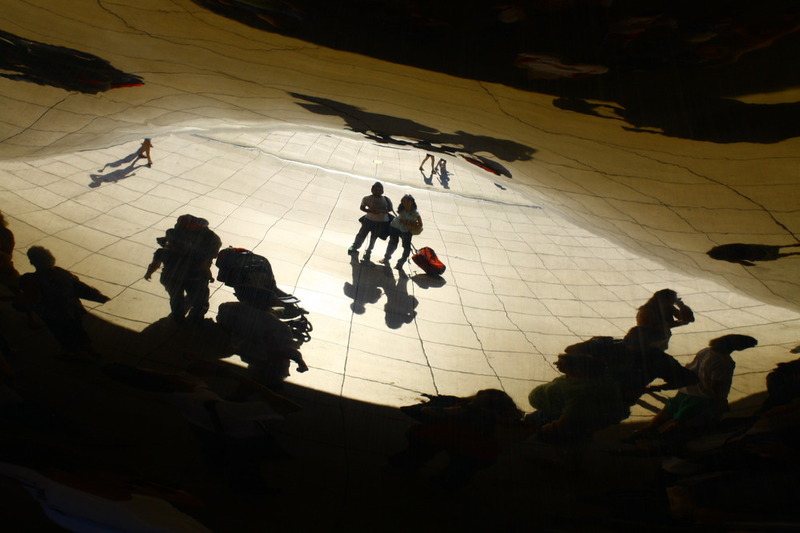 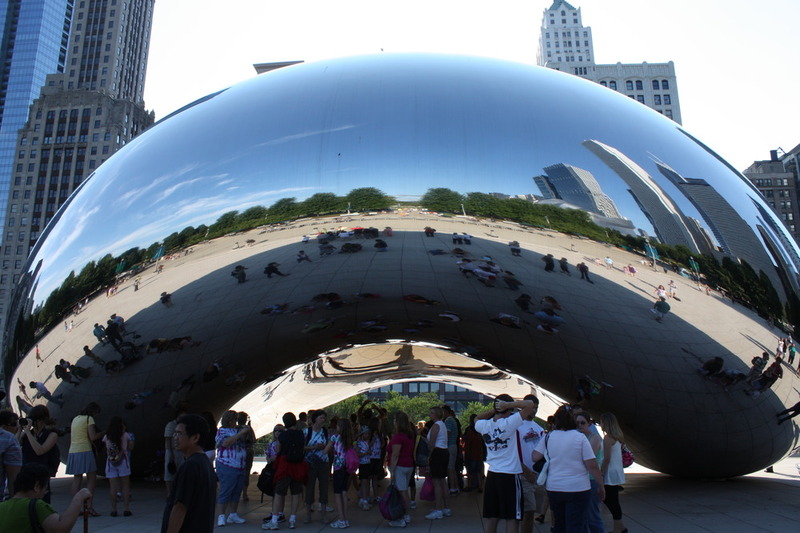 The sculpture sits at AT&T Plaza in Millennium Park within the Loop area of Chicago. 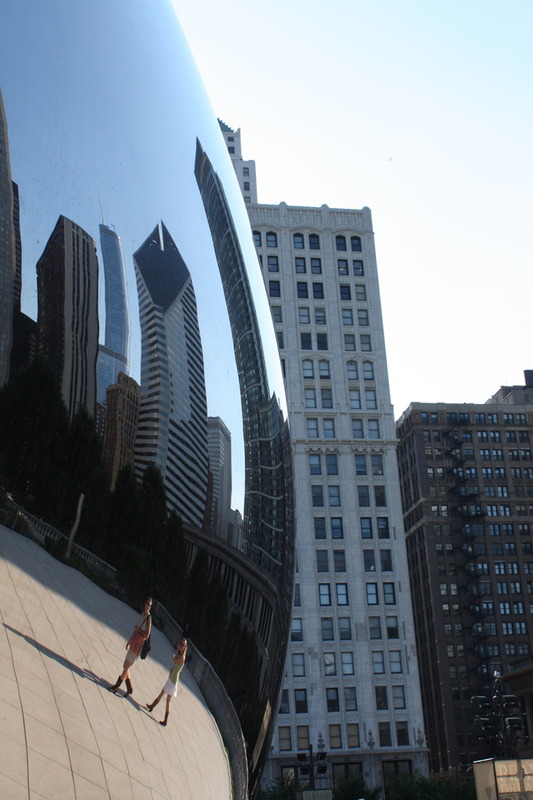 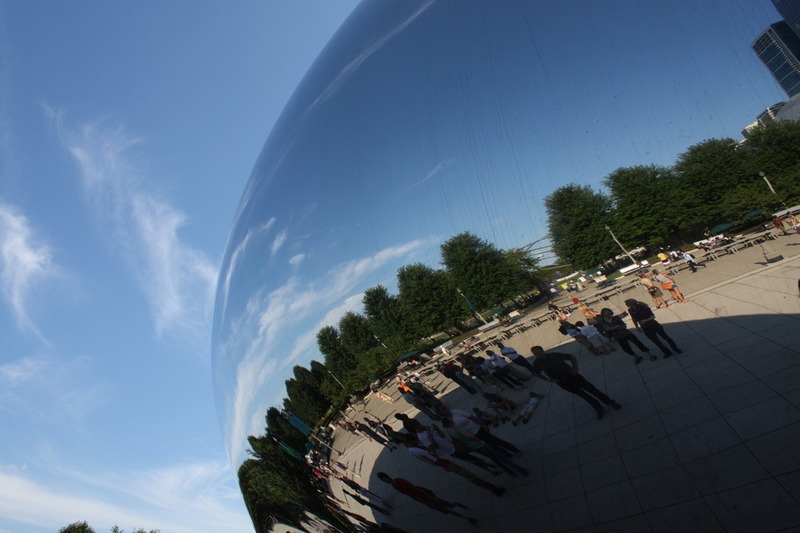 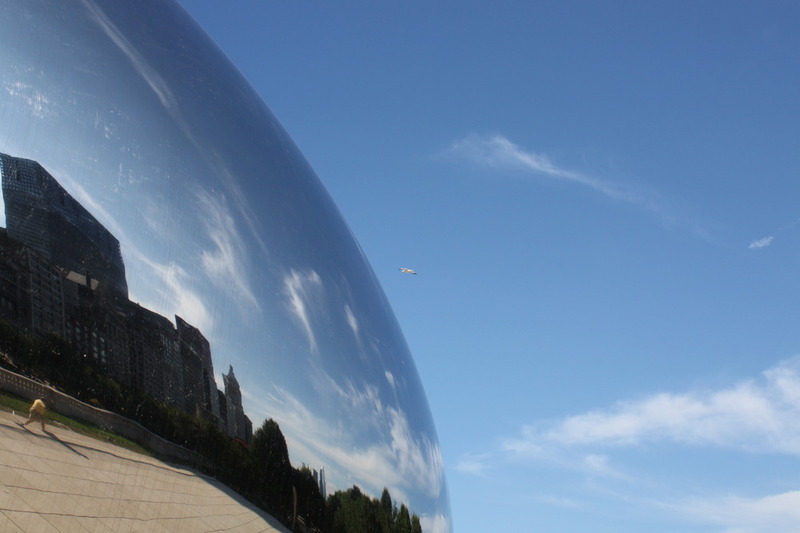 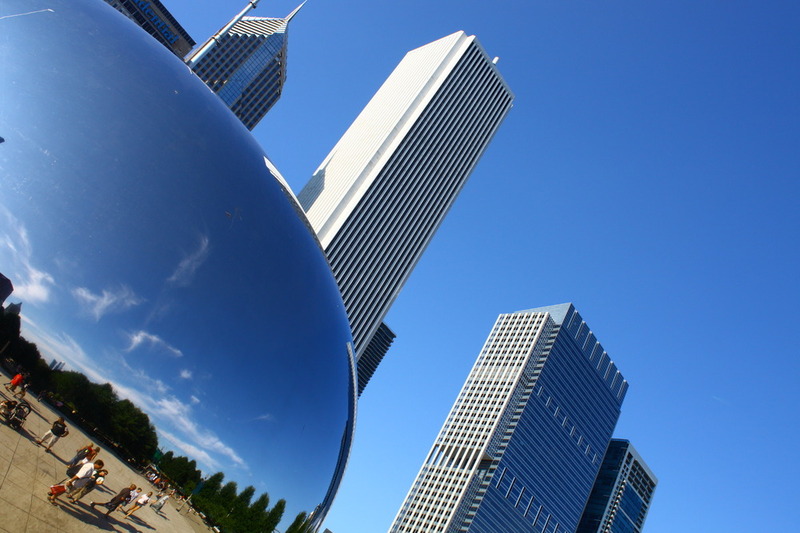 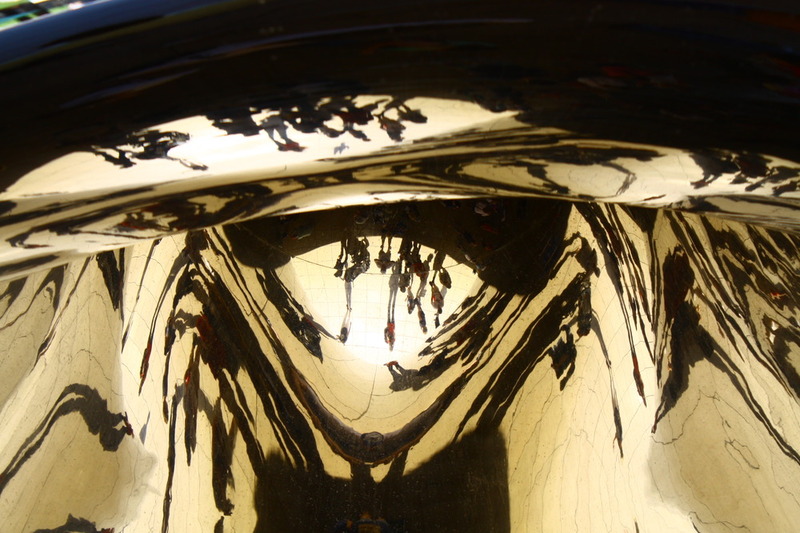 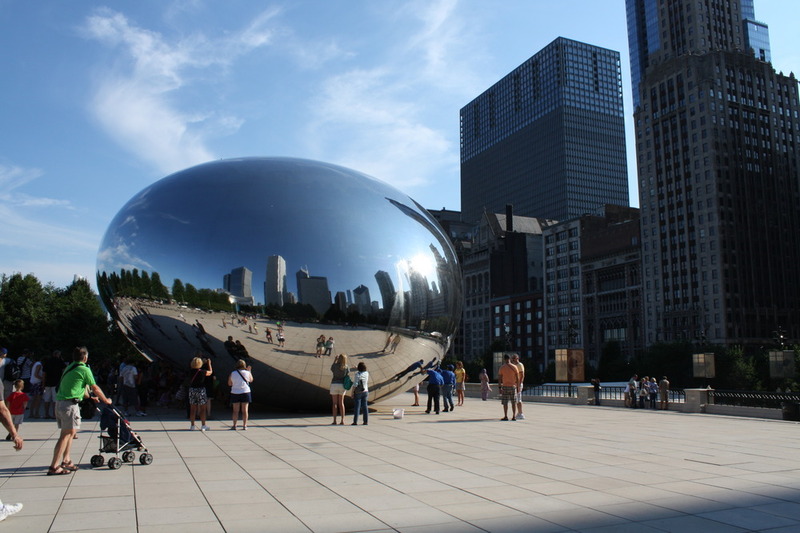 Indian-born British artist Anish Kapoor takes the credit for the 168 stainless steel plates that are welded together but The Silver Bean is so highly polished that there are no visible seams. 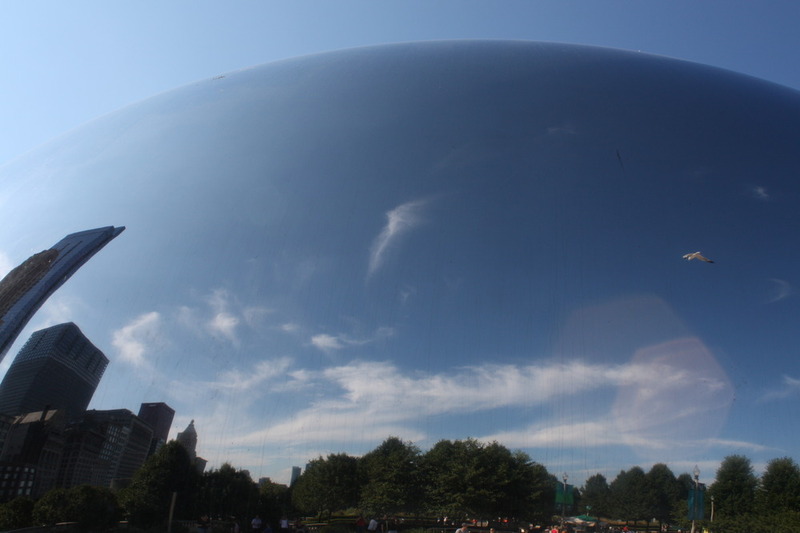 It’s heaps of fun, especially if you’re directly underneath it because the reflections there are particularly kaleidoscope-like.